I am wanting to utilise a 4G connection and in the future VDSL when it becomes available for my address. At the moment the house is not being lived in and i have access to run cables most places. I have already run CAT6 in to most rooms. Any ideas how best to do this? Or is it best to get a long antenna cable and feed to loft. I had planned to place VDSL router next to master socket as I have run CAT6 cables from a central switch to it. I am not sure what equipment would be best, or what design would be best. Do you guys have any ideas? I use 4G too, and load balance it with my 2.5Mbps ADSL connection, to provide a decent boost. I have been using a TP-Link Archer MR200 4G router: but have just taken delivery of a Huawei B525 (specifically, the B525s-65a model), and this seems much better than the MR200, with more options and picking up a better signal. In fact, I can now get a decent Three signal on this, although I can only get EE or Vodafone on my old router & on smartphones. Also, the £20 per month Unlimited Data SIM (SIM-only) is on offer again via Three.co.uk but only for this weekend I think. I have just ordered one, to replace my current EE Data SIM that was really used for testing "proof of concept" purposes (and only has 32Gb data per month). I'd highly recommend the Huawei B525 router (especially the B525s-65a if you can find it, as it supports more LTE bands that are used in Europe and could be used here [ e.g. 700MHz] - the more commonly available variant is the B525s-23a, which is still perfectly fine, but the 65a version I feel is more future-proofed). I got mine on eBay, so search for "Huawei B525" and get one with included external antennae, they gave an extra bar of signal for me to a full 5 bars on Three! (You have to set the router to use external antennae if they are used, otherwise it defaults to the internal one). Also, you can force the router into "4G only" mode if you like, so that it doesn't fall back to 2G or 3G. This router has 4 ethernet (RJ45) ports too, plus a telephone port (RJ11) and USB, so is flexible. I'm so happy as we've been excluded here from any FTTC/FTTP future upgrades so far (I'm in rural Ceredigion, West Wales), and my 2.5Mbps ADSL link is not up to scratch these days - so 4G to the rescue, courtesy of Three! (I never thought I would be able to get a Three signal either, until using the Huawei B525, so different 4G routers can make all the difference!). EDIT: Oops - I forgot to mention, try the 4G router on its own before investing in an outdoor antenna, you may well get a good enough signal anyway using that. I have been looking at 4G routers and had also came to the conclusion that the B525 was the one to get as hardly any seem to work as modems only. I notice that people mention that not all variants of the B525 have 'bridge mode'. Did you get yours from Eternal Comms? I was looking at the 23a version as at a glance i couldn't tell / see what the extra £20 got me. Do you know if it's just frequencies that this model covers? I was then looking at a Draytek Vigor 2862 non wifi version and link the 4G router in bridge mode and then BT wholehome around the house. I've got an old Netgear Aircard and tried with a 3 PAYG sim and got 7mb downstairs (2 bars) and mid 20's (2-3 bars) upstairs so good point about the antenna as hopefully it will be better than the aircard as this has no external antennas and probably doesn't have the latest bands. Great to see 4G has worked for you. Hopefully it'll give me at least 30mb/sec as this will tide the family over until BT get around to wiring up the cabinet. PS. I went for the 3 offer this morning, Been holding out for it to come back and if the quidco works it's a steal. Yes, I got my B525 from "Eternal Comms" (very prompt delivery), they seem to be the only ones that include what I call the "bunny ear" external antennae. Having said that, the built-in internal antennae on that router are pretty good anyway. The extra £20 for the 65a get you mainly extra LTE bands (frequencies), so the router would work in more locations (in Europe + overseas), plus to my mind is a bit more future-proofed - for example, it includes the 700MHz frequency LTE band, and I've heard that Three have invested in this too (although it could be for future 5G deployments, not sure). Yes, Eternal Comms advertised the 65a variant as having "Bridge Mode" - but they say the same for the 23a too. The only real difference between the 2 variants of the B525 (that I am aware of) are the extra 4G LTE frequencies on the 65a. I think that, at the moment, the 23a would be just as good - it's just that I personally felt the 65a was more future-proofed, in case some of the other LTE bands become available here in the UK. But, other than that, I'm sure either variant (e.g. from Eternal Comms) would be fine. I use the DrayTek Vigor 2860 Vac (the 2862 series is a slightly newer variant of that series, I believe) to do the Load Balancing between ADSL and 4G (I use ethernet + powerline adapters to bring the 4G signal from 4G router upstairs [will try in attic too] downstairs, and connect into WAN2 ethernet port of the DrayTek). Once I get the unlimited Three SIM up & running, assuming it's all ok (good thing there's a 14-day "cooling off" period, just in case! 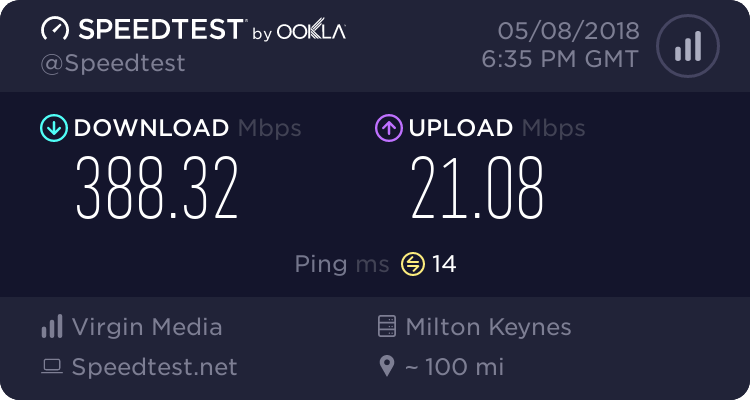 ), I'll probably tweak the DrayTek settings to favour the 4G connection for most traffic, leaving the ADSL for some traffic where I'm not bothered about speed, and as a failover / backup link too. I do have an external antenna: the Poynting 4G-XPOL-A0001 (which is an outdoor omni-directional antenna - I don't have any direct line-of-sight to any cell masts) - but, so far, the router antennae have been good enough to get a decent signal (far better than I can get on any smartphone) - although, once the weather improves in spring (hopefully! ), I'll experiment outdoors with the Poynting antenna to see if I can get the maximum possible reception. Anyway - I'd definitely recommend the Huawei B525 as the best 4G router (in terms of features & value-for-money) that I personally know of at the current time, based on my own experience so far (I know there's a Huawei B618, but that's a lot more expensive, and I don't personally think it would be worth the premium, except in very particular locations maybe). Good Luck anyway - let us know how you get on! Be mindful that lofts can get very hot in the summer. An omnidirectional antenna mounted on the highest point, perhaps the chimney stack would possibly get the best signal as you don't have line of sight. May i just ask you please to check if the bridge mode is present in the settings pages on your router as they sell on Amazon and one of the reviews mention it not being present? Looking on the net it looks like a guy in Poland is modifying the firmware to allow other options (incl. bridge) that Huawei don't enable or normally support. I wonder if Eternal Comms are buying these in from China and overwriting the firmware with his firmware. On a side note, have you tried the RJ11 input on the router? Do you know if this means a standard phone can be plugged in and use the voice connection or does it require a VOIP provider. Good point about heat in loft, you are right it gets like hell in there. I was up there this summer pulling wiring and it was torture. I don't have a chimney but was thinking if the signal wasn't good enough to maybe mount a pole on the side of the house to get me above the neighbours roof. Only concern then i suppose would be cable length as i hear this plays a really big part in how good an external antenna works. Hopefuly just the basic external antennas will be enough and i can mount in the airing cupboard which has the straightest line of site outside of the loft. Some useful info on the above site, they imply using different types of cable depending on length. The above site recommends a maximum of 10 meters, before the signal is affected. Not sure whether you meant putting just the aerials or the modem in the airing cupboard, but wouldn't that also get hot? Thankyou for the links. I will most certainly read through. The airing cupboard is not used anymore as I have a storage combi boiler so gives me a bit of empty space to place the router in. It's also the main path for all the houses CAT6 and aerials, so if using 4G works I will move the switch to here as I had planned to have this in a seperate porch loft space. We also fitted a combi and did away with the storage tank, but I did fit a small rad in the airing cupboard. Having had a read this morning the lack of static IP is a problem for me.